Stainless Steel Bi-Metal Self Drilling screws (Tek screws) can drill through stainless steel sheet due to their innovative design which incorporates a special point similar to a drill bit made from hardened carbon steel. 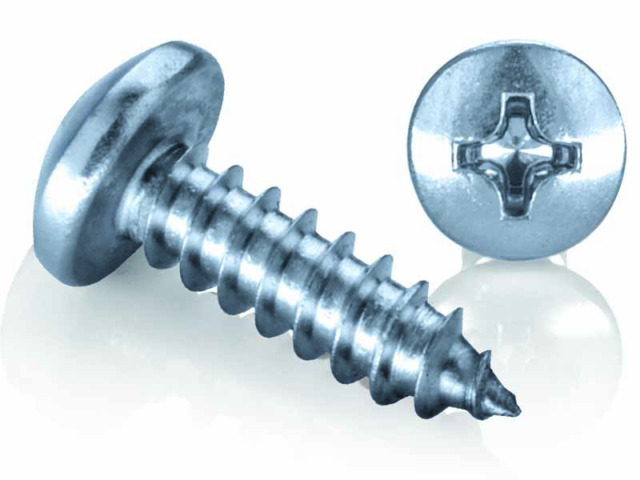 The rest of the screws is manufactured from stainless steel 304 (A2) then the whole screw is protected with a silver slide coat. This coating not only adds additional corrosion protection it also reduces the screw in resistance. 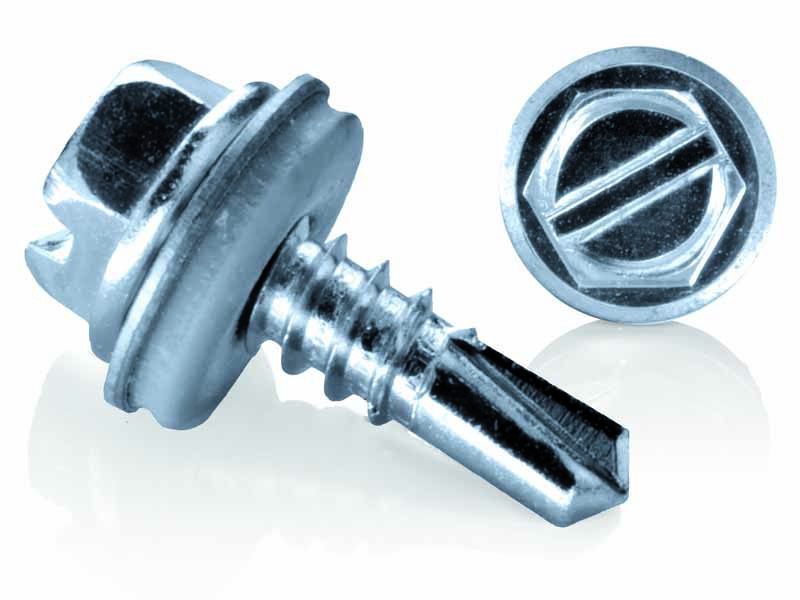 This screws can be used for up to two sheets of 1.00mm stainless steel (2.00mm total thickness). The hardened point cuts through the steel then the 304 screws are designed to last a long time without corrosion and can also be used with 316 sheet or cladding. 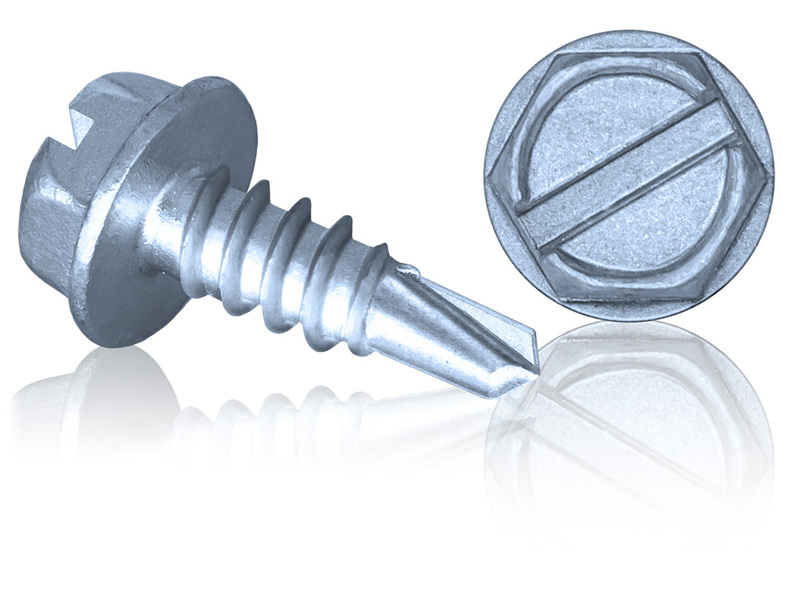 This is a much better option than either a carbon steel screw or a 410 stainless screw that will be at risk of corrosion. 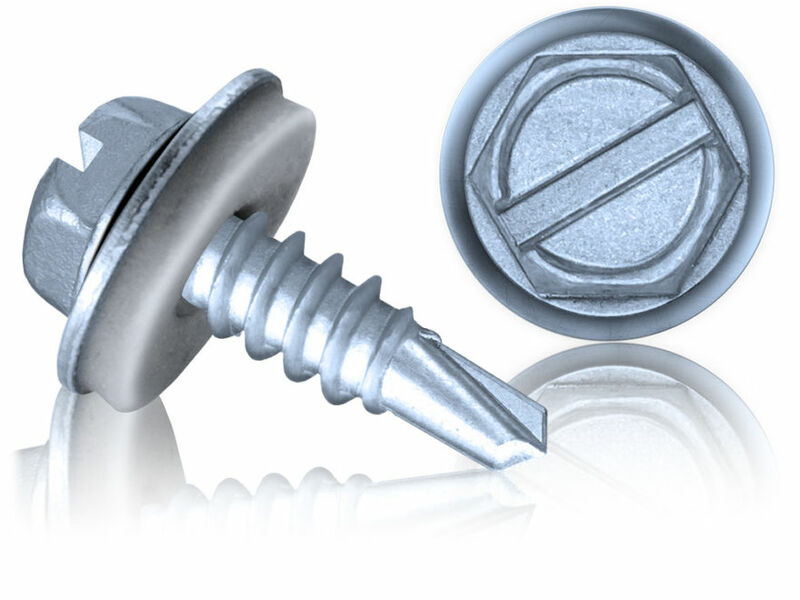 Screws can be supplied with and without washers both polyamide or EPDM bonded. The head types are Hexagon, Hexagon slotted, pan head Philips or pan head square slot (bit included). Self-drilling screws may also be referred to as Tek screws, roofing screws or stitching screws. These screws can also be supplied coloured either powder coated or liquid (paint) coated for colour matching purposes subject to minimum quantities.